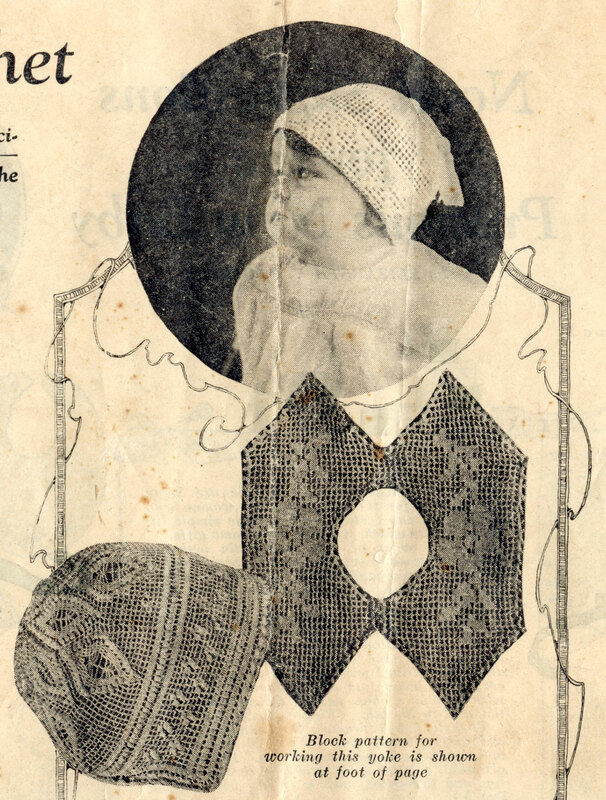 I recently came across a very large collection of vintage patterns (yay! 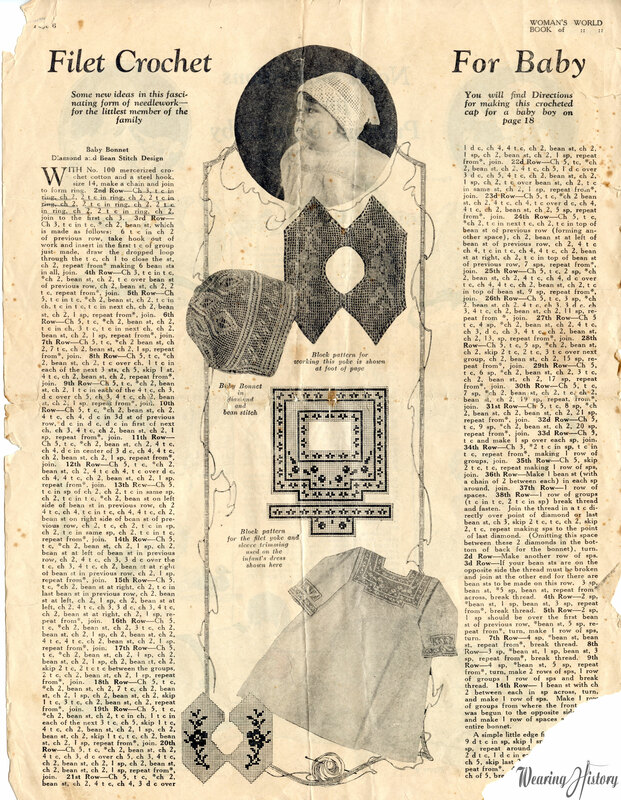 ), and tucked inside were a few loose leafs of old magazines from the early 1920s. They’re so darling that I had to share! These are filet crochet. Sadly, the bottom corner is missing but hopefully some ingenuity will help fill in the blanks. Click on the image for a hi-res version that you can save.